I love a theme. And I appreciate photogenicity. When my friend who's a photographer and designer put me in charge of bringing a dessert to her Mexican dinner, I wanted it to look good first (and yeah, taste good, too). 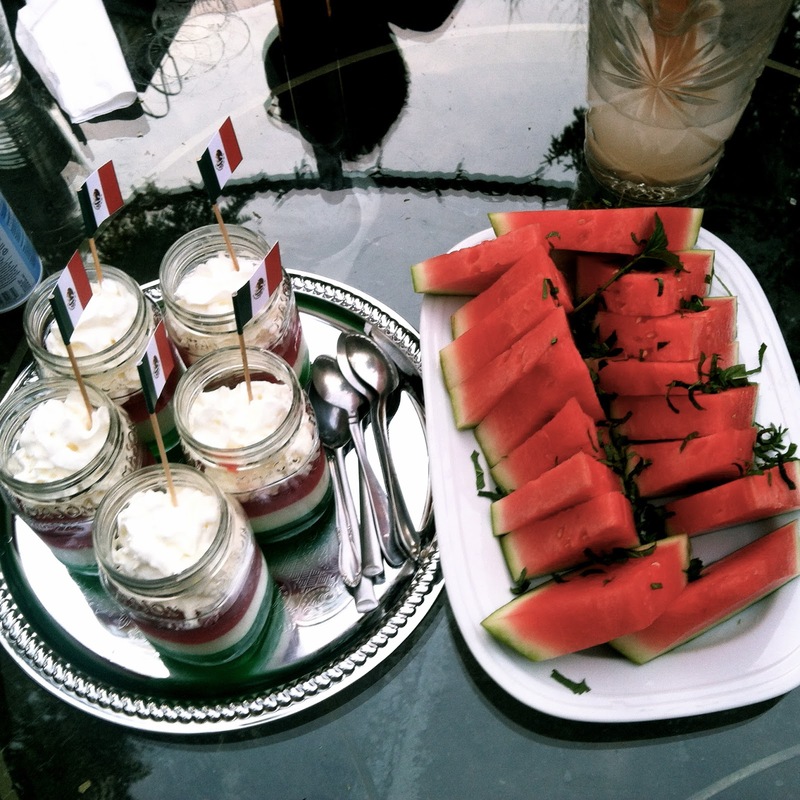 After some dessert brainstorming, I came up with jello in Mexican flag colors (served alongside coordinating watermelon with mint, lime and salt). 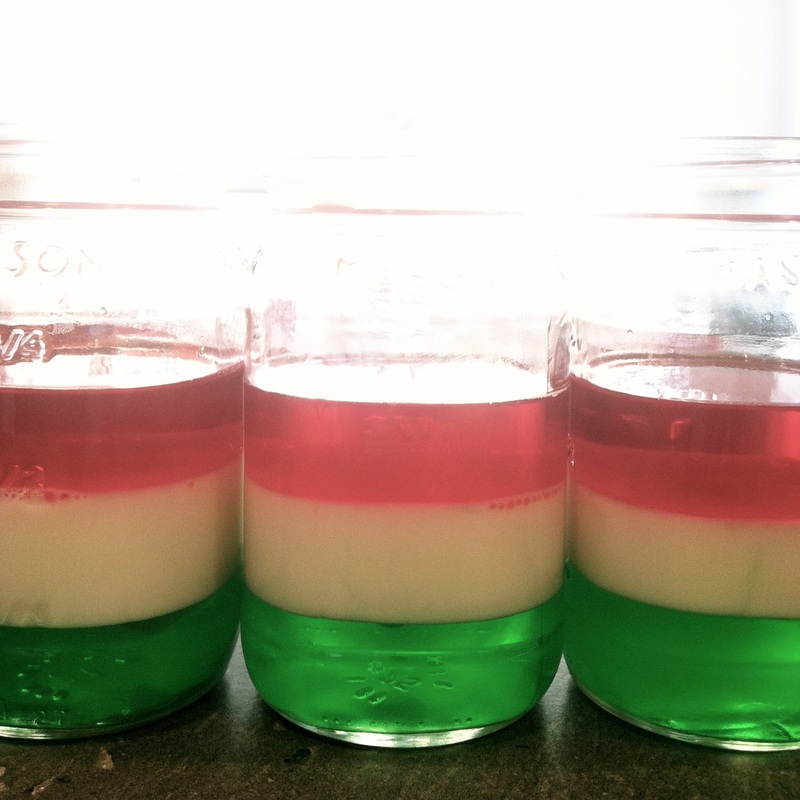 There are plenty of recipes for layered jello desserts in every color combination online, but I had never made one myself. The dessert takes a bit of time because you have to wait for each layer to firm up before you add the next layer, but there's not much actual work involved besides boiling water. It's definitely an easy dessert, a crowd pleaser and a visual treat. I used five mason jars because we were going to have five people at dinner, but it ended up being a lot of jello for each person. Jello's not really the kind of thing you want to sit there eating for half an hour. Next time, I'll use smaller cups and make double the servings. Just make sure they're clear, so you can see the colors. Or you could make a tray of the jello and cut them up into cubes. Make the green jello according to the instructions on the package and pour even amounts into the cups you're using. Put the cups into the fridge. When the jello has set in about an hour or so, you can make the next layer. Make the white jello. 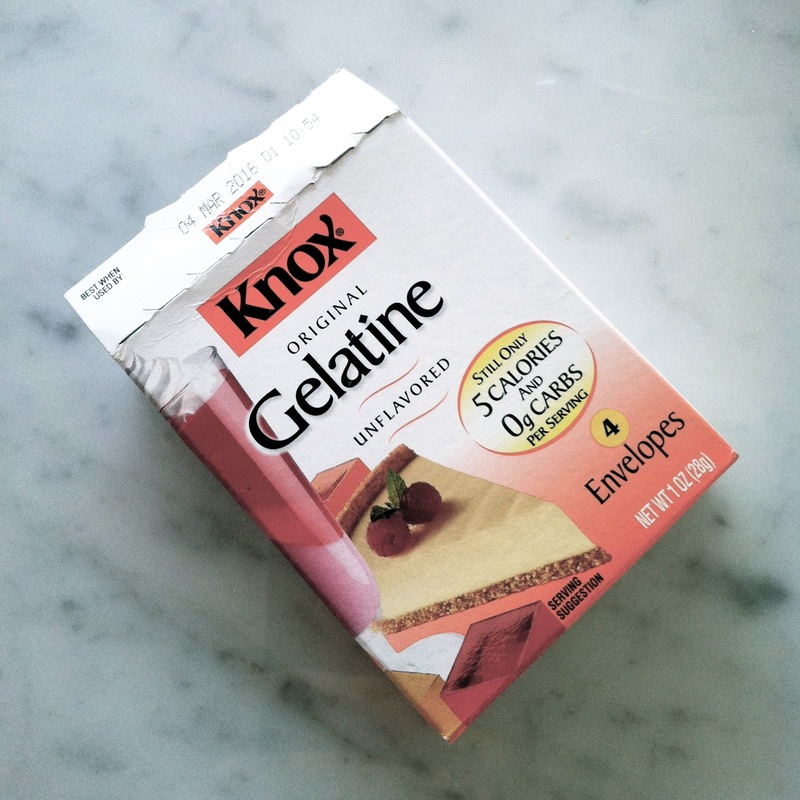 To do this, you use two packets of the plain gelatin and make plain jello according to the instructions. Then you add a small can of condensed milk to the gelatin mix. Cool to room temperature. Pour the white jello mixture over the first layer of green jello and put the cups back in the fridge. 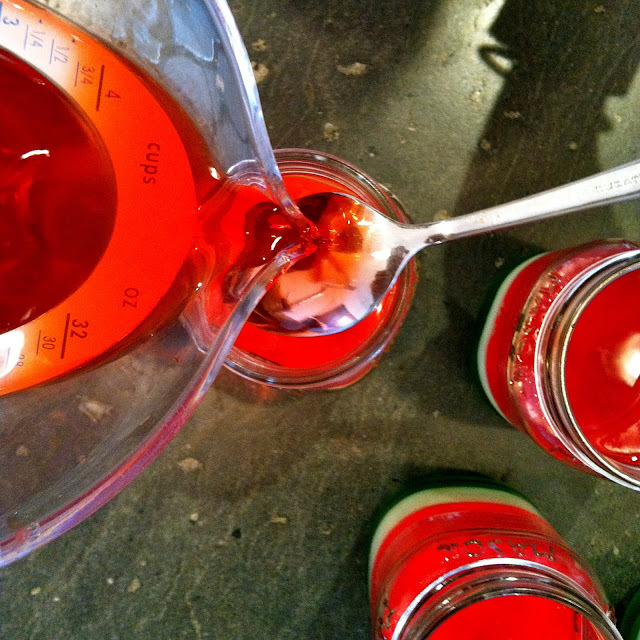 Repeat the final layer with red jello! When everything's firm, it's fiesta time. 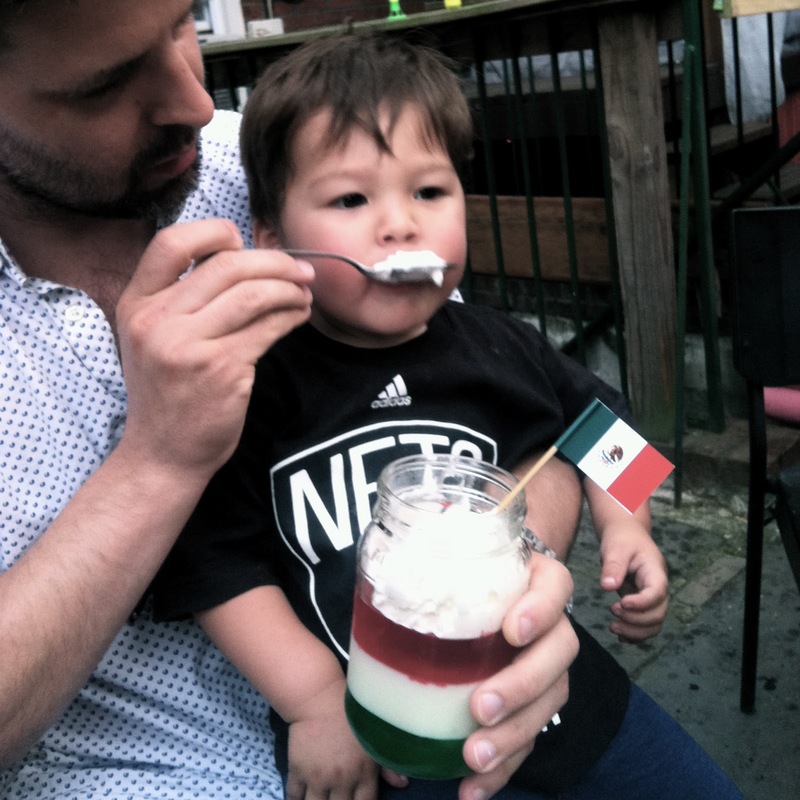 Top all of the cups with whipped cream and Mexican flags, if you like extra pizazz. 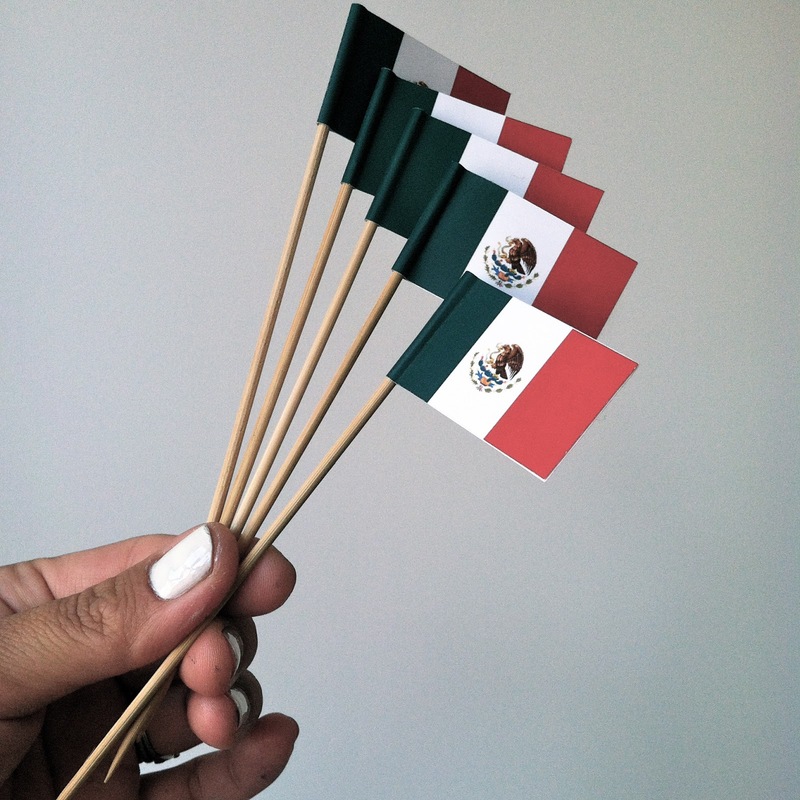 (To make the flags, we found a flag on Google images, printed it and wrapped it around mini skewers.